Coastal Adjustable Dog Collar with Plastic Buckle offers the perfect combination of durability and style. 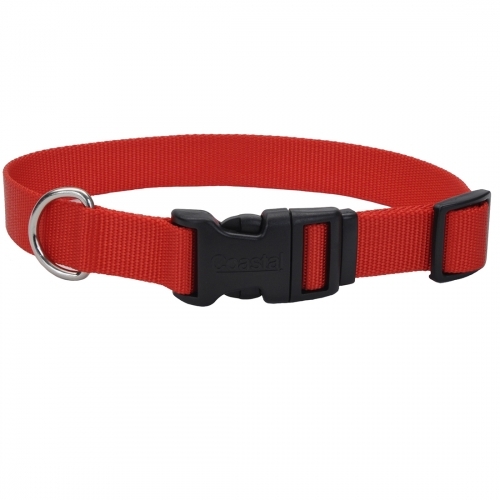 Available in a variety of vivid colors, this collar is adjustable to get just the right fit for you dog. The unique curved, snap-lock buckle provides added comfort. Available in 3/8" x 8-12", 5/8" x 10-14", 3/4" x 14-20", 1" x 14-20", and 1" x 18-26".